Your booking service provider needs to interact with its customers over the phone. Without a doubt, you need a great call center software system to manage your call activity. But where can you find software with a truly great interactive voice response (IVR) system, automatic call distribution system, and analytics that improve business operations? If you’re asking these questions, you’ve come to the right place. 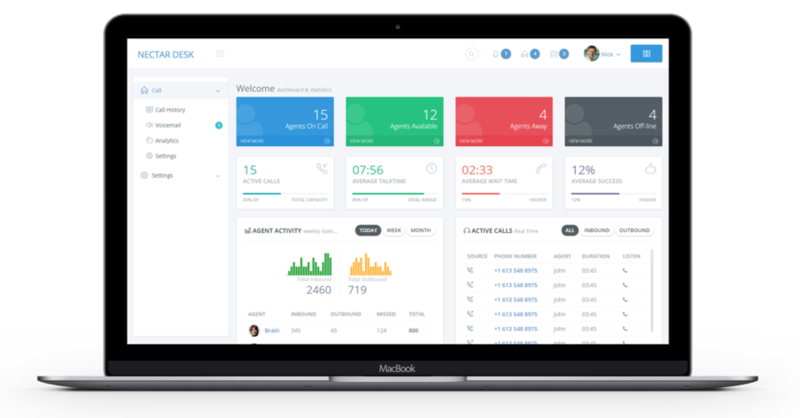 Nectar Desk is the call center software you’ve been looking for. Keep records of all your calls with Nectar Desk’s computer telephony integration technology. Call monitoring and recording has never been easier. Call detail records of booking calls can be easily retrieved at any time. Nectar Desk’s analytics will also better your booking services business. Nectar Desk’s call analytics dashboard gives you the tools needed to predict peak call times. Now your booking agents can be better prepared to service inbound dialers with travel needs. With Nectar Desk, you can’t lose. Do a great service to your business and try it today.